Order in next 4 hours and 11 minutes for despatch today. Cotton Webbing shoulder strap 25mm wide 93cm long. This cotton webbing shoulder strap was made for large shoulder bags. It is available in quality cotton webbing as shown. The fittings are made in a chrome finish. 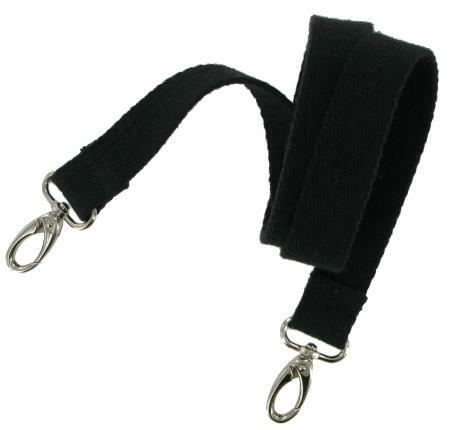 This replacement shoulder strap is not adjustable and measures about 93cm in length excluding the snap hooks. The strap is easily fitted onto your bag with snap hooks.